All quotations and contracts of sale and installation made by The Stove And Fireplace shall be deemed to incorporate the following terms and conditions. No other agreement, reservation, promise, undertaking or understanding of any kind either verbal or otherwise shall form part of or alter, vary, supersede or operate as a waiver to the stated terms of business unless expressly made or accepted by The Stove And Fireplace Directors in writing. These terms and conditions shall form a contract between us (The Stove And Fireplace) acting as the supplier and you (The Client) acting as the recipient. a) The product(s) you (The Client) have chosen will be individually designed and will be made for you (The Client) exclusively. The product(s) will be customised to suit your (The Clients) particular requirements. 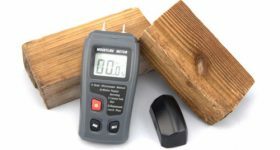 The product(s) will be made and supplied by us, on a design and supply basis only, unless otherwise stated in writing. b) As with all natural materials such as real timber, marble, slate and granite, minor markings or unusual grain patterns may be present. These are not defects but part of the natural character of the piece. c) The costing and arrangements for installation is a strict transaction between us (The Stove And Fireplace) and you (The Client) unless otherwise stated in a written contract involving any other firm or individuals. d) The Stove And Fireplace may introduce or recommend a company or individual. 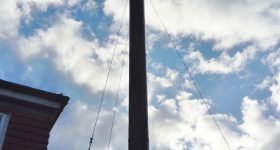 You (The Client) are completely free to obtain quotations for work from any other third party source, individual or companies, at your discretion. 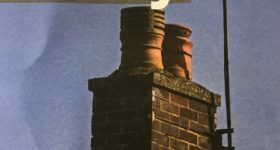 All work arrangements and actions carried out by a third party will be solely their responsibility and under no circumstances will The Stove And Fireplace be responsible for any work undertaken or damage caused by them. e) Payment for all materials and/or installation is stated as £200.00 payable prior to the ordering of goods and the remaining payable on the last day of installation, unless otherwise stated. 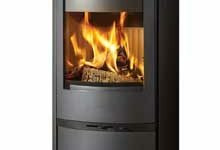 The Stove And Fireplace reserve the right to reserve full payment in advance at their sole discretion. f) Ordering of goods and any other works will not be undertaken until the £200.00 deposit is received. g) Deposits will be refundable in full, should you (The Client) decide that you do not wish to proceed with the sale only if goods have not been ordered. If goods (or part of) have been ordered / delivered the client will bear the restocking charge, delivery charge, courier charge and any other related charges that are incurred due to the item being returned to the supplier. h) All items manufactured by others and supplied to The Stove And Fireplace and then passed or sold to the client will be covered by the relevant manufacture’s general guarantee (slate, marble and granite, being natural products, do not carry any form of guarantee for natural occurrences). i) It is your (The Clients) sole responsibly to ensure that all required work is conducted prior to installation of the new fireplace/appliance. 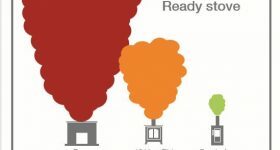 a) We (The Stove And Fireplace) reserve the right to change fitting dates to accommodate situations out of our control. b) You (The Client) will ensure reasonable access to the property to ensure installation within a mutually agreed time period. c) You (The Client) should take all reasonable steps to ensure the safety, security of any furnishings, carpets, sofas etc. against any disruption caused by the installation. 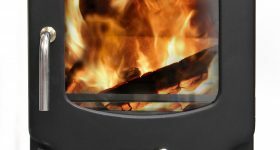 Standard outer fireplace hearths come in 54″ x 15″ can be cut to size on site. We (The Stove And Fireplace) will not be held responsible for any damage to your (The Client’s) property that is not secured and made safe from any works conducted. 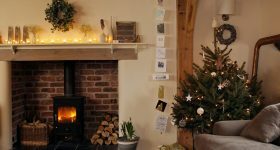 d) We (The Stove And Fireplace) will not be held responsible for any decoration being disturbed, marked or damaged during the installation or works carried out. e) We (The Stove And Fireplace) will not be held responsible for any third party or accept, any claims arising from damage, accidental or otherwise, after the completion of work and inspection of all parts installed. f) We (The Stove And Fireplace) will not under any circumstances remove waste that has resulted from any third parties working at the premises or that have not resulted from works undertaken by The Stove And Fireplace. g) We will not be held responsible for fitting any carpets/flooring before or after the installation of the fireplace or works undertaken. h) Skirting boards should be removed prior to our installation and refitted by a competent tradesman after the installation is complete. 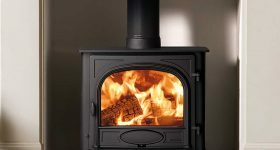 i) In the event of any unforeseen problems either structural and/or other on the removal of any existing fireplace, opening of a chamber or other instructed works, we (The Stove And Fireplace) reserve the right to quote for any addition works required to complete the original installation of products. You (The Client) are completely free to obtain quotations for this work from any other third party source, individual or companies, at your discretion. All work arrangements and actions carried out by the third party will be solely their responsibility and under no circumstances will we (The Stove And Fireplace) be responsible for any work undertaken or damage caused by them. a) Payment must be made in full on the final day of completion of our work. 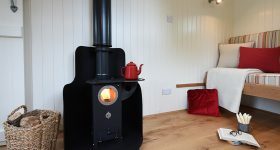 b) The Stove And Fireplace will charge £50.00 for every cheque returned by the bank for insufficient funds. 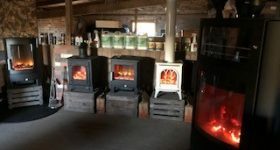 c) If any legal action is brought by us (The Stove And Fireplace) to collect monies, you (The Client) will be liable to pay the full outstanding balance plus interest, at the rate of two per cent (5%) above base per month plus any expenses incurred during collection of monies owed. d) It is solely your (The Client’s) responsibility to insure the appliance installed receives regular maintenance.